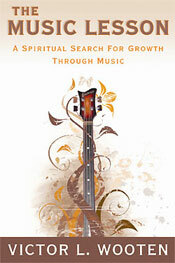 The book that is helping musicians around the world form a stronger connection with Music. The Music Lesson book is now part of the music curriculum at the following colleges and universities: Berklee College of Music Boston MA, Evergreen State College, Olympia WA and California State University-Chico Chico CA. 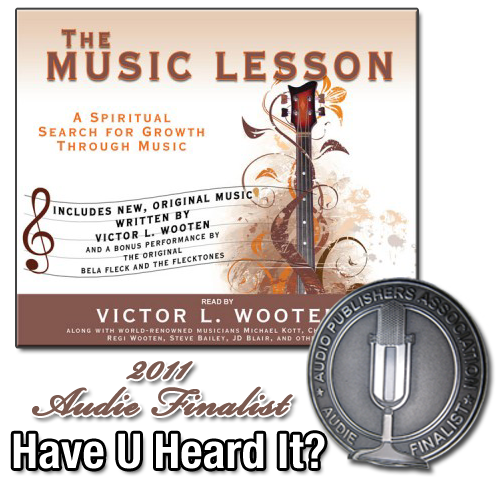 We're very proud to announce that The Music Lesson Audiobook has been named as a 2011 Audie Finalist! After many years of teaching Music/Nature camps, conducting workshops at Music stores, and teaching at schools and universities around the world, musicians repeatedly asked me to write a book to include the many unique and often strange ideas I���ve come to be known for. Not wanting to write an instruction manual, I chose to write a novel instead. This surprised many people (including myself), but has resulted in a method of ���teaching��� that is less formal and more suitable to many. Now translated from English into German, Korean, and two Chinese languages, teachers, schools, and universities worldwide are using The Music Lesson in their lesson plans. 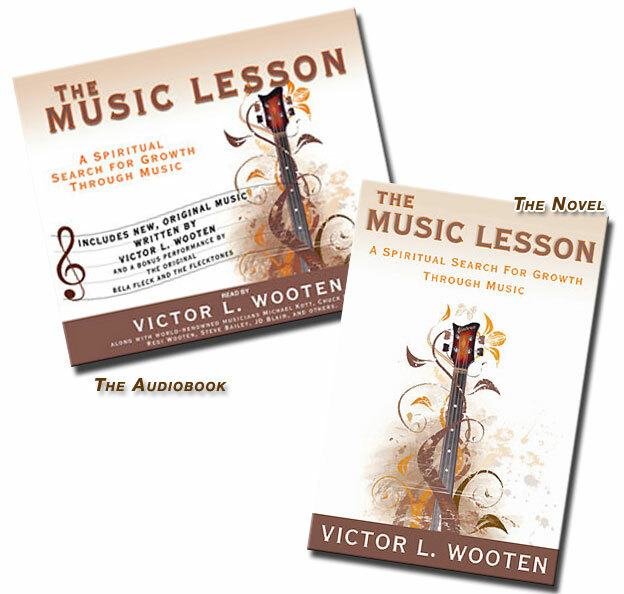 For many teachers, The Music Lesson is required reading for their students. I am honored to have so many people reading my words and relaying their appreciation of the book to me. My sincere thanks go to Howard Wall and all at The Berkeley Publishing Group/Penguin Group USA for making this book available worldwide, to Tantor Audio for bringing the audio version to you, to my foreign publishers, and to ALL of you who have read the book. A very special shout-out goes to those of you who purchased my original (self-published) version that started it all. Thank you all for reading, re-reading, understanding, using, and sharing the information in this book. That makes it all worthwhile. Please know that I enjoy hearing about the successes and benefits you���ve received from the book - and by the way, the sequel is coming. "Many people are asking if I am real. A better question is: Are you real? © 2012, VixTours, LLC All Rights Reserved.